Many small schools consider their energy use to be too low to worry about, but these are the schools that can make changes quickly, and deliver a greater collective saving. From student led initiatives to changing the lunch break time to reduce the use of the electric food warmer to behavioural changes of turning off lights and using LED lights, the school saves 12 tonnes of CO2 every year and reduced its electricity use by 29% in three years. 12 tonnes of CO2 saved every year. 29% electricity reduction in three years. Marton Primary School is an excellent role model for other small schools. The staff and pupils have adopted a very simple approach focusing on low cost or no cost actions such as behaviour change to really make a difference. Being a very small school, all staff and the 97 pupils are aware of the carbon saving efforts at Marton Primary School. There are 2,500 primary schools in England with fewer than 100 pupils, and collectively they have a significant carbon impact. Many small schools consider their energy use to be too low to worry about, but these are the schools that can make changes quickly, and deliver a greater collective saving. 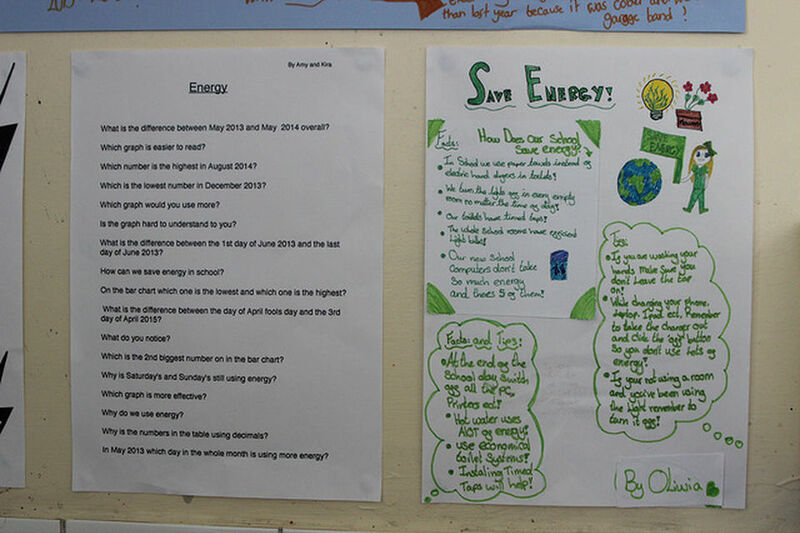 Energy classwork display on wall. 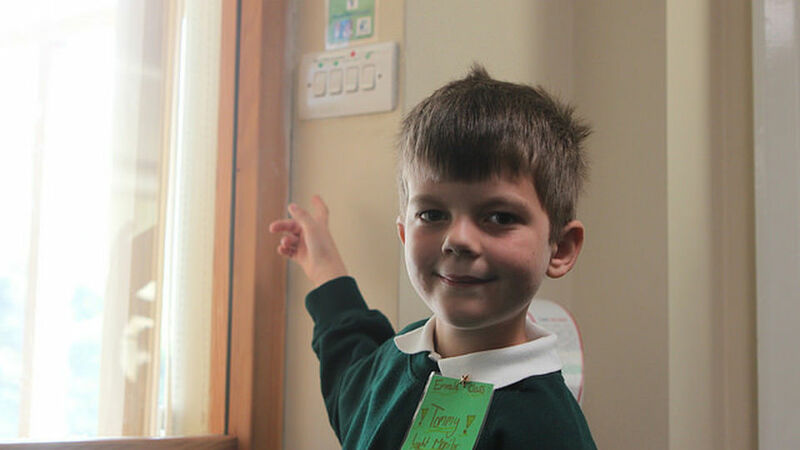 There are just four classes and Head Teacher Ben Stephenson and Senior Teacher Naomi Maguire go the extra mile to ensure that the children have a strong voice in determining the energy saving processes. Activities began with the appointment of three pupil Carbon Ambassadors from Year 5 and Year 6, who carried out an energy audit of the school to develop a plan of action to reduce the school’s carbon footprint. The school has made some impressive savings, reducing electricity consumption by 29% between 2011 and 2014 and the fact that they have 100% LED lighting throughout is estimated to save 12 tonnes of CO2 per year. 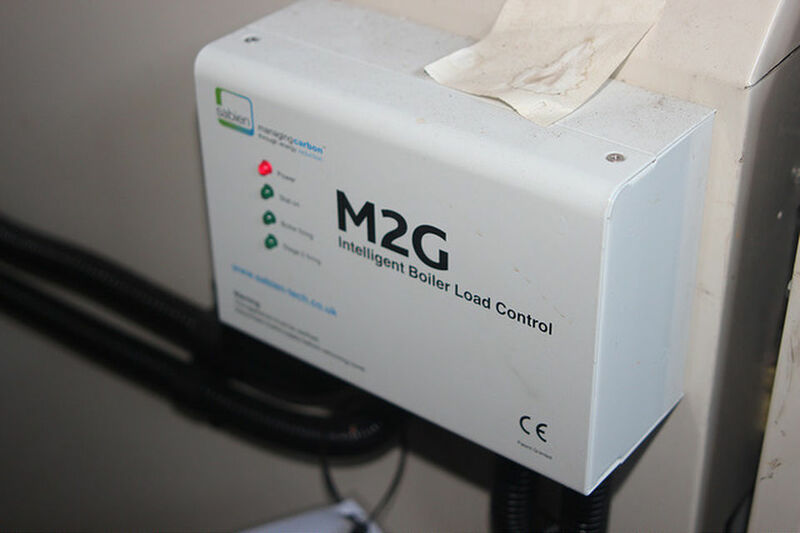 The school has developed a culture for energy saving, in fact it was the students who insisted on changing their lunch break time so as not to prolong meals being warmed by an electric food warmer – this is pupil power in action! A gradual refurbishment of the 1960’s school in recent years has seen the installation of double glazing, plastic strip curtains for external doors in two classrooms, thermostatic radiator valves, roof insulation and, more recently, LED lighting and sensor lighting controls. Changes have also been made to the use of IT equipment. Desktop computers have been replaced with 40 tablets and 4 all-in-one computers. The tablets are used for research and learning tasks, and pupils are responsible for keeping them charged and ensuring chargers are switched off when not needed. The all-in-one computers are used for coding lessons and data handling work. The focus on behaviour change is immediately obvious at this school. All lights are switched off, as well as equipment that is not being used. All lights are switched off, as well as equipment that is not being used. There are stickers and posters around the school encouraging energy saving. All switches have been coded green or red by the pupils so that everyone knows which ones they can switch off. Twice a year the school participates in the local authority’s ‘Switch-Off’ day, and for this a 50% reduction in energy use is the norm. The school uses these two events as a reminder of what can be achieved. Last year, pupils observed that school meals were being delivered at least half an hour before the lunch break and being kept warm by an electric food warmer. The solution was to change the time of the lunch break to reduce the warming time to just 10 minutes. This saves energy and the food tastes better too! At Marton Primary all members of staff are aware of the need to save CO2, with just four classes, all the staff go the extra mile to ensure that the children have a strong voice in determining the energy saving processes. Marton’s vision is to inspire its pupils to learn in and beyond the classroom timetable, which is evident in the wide range of sustainability activities that take place in the school. The curriculum beyond the three Rs is topic based and all year groups participate in learning about sustainability and the need to conserve resources. Particularly impressive is the work of the Year 5 and 6 pupils in using energy data for data handling exercises in Mathematics and IT. Simon Green, class teacher, has used the energy data and meter readings to set a series of tasks for pupils to analyse energy usage and compare consumption over weeks, months and years. By weaving environmental education through our curriculum and by promoting our school values, our pupils are determined to ask challenging questions and find solutions so that we reach our mission to become carbon neutral as well as responsible custodians of our amazing planet. The school plans to replace its oil heating with a biomass system., using locally sourced wood. It is also looking at installing a 10kWp PV solar array on the roof of the reception classroom.